As of 4/13/2012, Jet Linx Aviation is actively recruiting for this Maintenance Technician position. The posting has been viewed 10 times since its original post date. Jet Linx Aviation has received 1 resumes by email for this position. Jet Linx Aviation has received 0 resumes by FAX for this position. Be sure to send your resume for this position using the "Send Resume" button or the phone, fax, email, and instructions provided on this page. 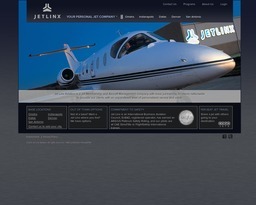 Please visit the Jet Linx Aviation web site for any additional details or information. Less than 10% of other viewers have sent their resume and the position is still open, so you are strongly encouraged to apply using the application instructions provided below. Jet Linx Aviation is a Jet Membership and Aircraft Management Company and offers a competitive salary and comprehensive benefits package.. We are currently looking for a maintenance technician to work in our Dallas facility. This position is responsible for performing various aircraft maintenance duties necessary to ensure the safety of all locally based aircraft. be responsible for 24-hour emergency maintenance as necessary. Qualified candidates must have and maintain an active A&P certificate. Previous maintenance and repair and trouble shooting experience is preferred. Qualified candidates are encouraged to send their cover letter with salary expectations along with their resume to: jobs@jetlinx.com. Please email resume to jobs@jetlinx.com and reference Avjobs when applying for this position.